Having a lawn or yard implies a little bit of maintenance work. Usually, there are companies that can handle the job but why waste money when things can be done without employing anyone and by just having a few tools? It does not take all that much money but it does require a bit of time to be invested every now and then. The most important piece of equipment that should not be missing from any home is a lawnmower. Electric lawn mowers are probably the most practical ones as they require almost no maintenance at all and are quite powerful. In simple words, they are more practical for an average user than regular petrol powered ones. Since there are so many different models available, we picked just the most popular and reliable ones. Here is our list of picks for the top 10 best electric lawn mowers. 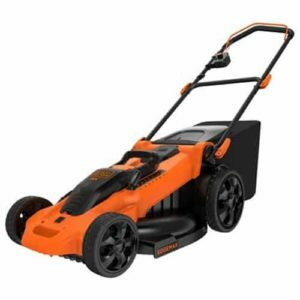 BLACK DECKER is a well-priced electric lawn mower that is constructed to suit your lawn mowing needs. Storing it is also an easy task because it is built with a one-height adjustment that allows you to fold it for compact storage. 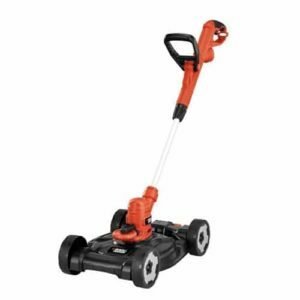 It includes a 7-setting height adjust lever, thus enabling you to cut grass from a height of 1 ½-inches to 4 inches. 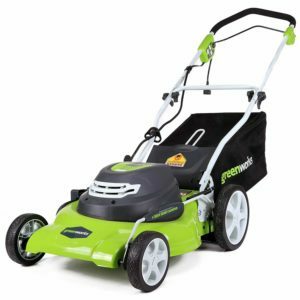 You will enjoy cutting grass on your lawn with the Greenworks lawn mower, which has a 20-inch cutting path. The mower features an ergonomic design and a steel deck that enhances its durability. To assure you of a reliable performance, Greenworks is a corded electric mower. It is a 3-in-1 mower with a mulching, side, and rear bag. MTE912 is one of the most affordable electric mowers that you can find in the market. It is a 3-in-1 compact mower that delivers excellent performance on your yard. This lawn mower has a 12-inch wide mowing path, thus making it suitable for mowing small areas. 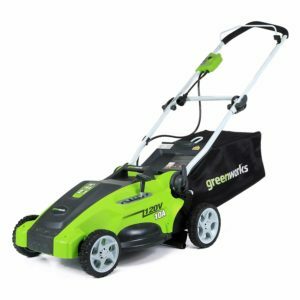 If you are looking for a powerful electric lawn mower, then you might want to check out Greenworks PRO. It is a cordless electric lawn mower that offers users an exemplary performance. Additionally, it has a stylish and ergonomic design. Its cutting height ranges from 1 3/8- inch to 3 ¼-inch. Next up is EGO Power Cordless Lawn Mower. Although the mower is a little pricey, it features an excellent performance. It has a compact design, and it is most suitable for those who are looking for a cordless electric lawn mower. If you are looking for an electric lawn mower that falls in the mid-price range, then CM2040 might be the tool for you. 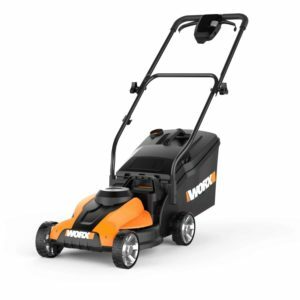 It is a 3-in-1 mower that includes mulching, bagging, or side discharging. It also has a great design, allowing you to cut grass efficiently. It comes with (2) 2.5 Ah – 40V MAX lithium batteries that provide you with extended cutting time. It has a 6-setting height adjustment – cutting height ranges from 1 ½ inch to 4 inches. WG775 is another powerful electric lawn mower. Despite its small size, this mower delivers excellent performance on the lawn. 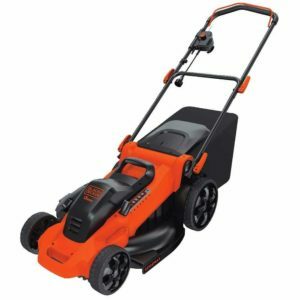 It is a 3-in-1 mower that includes rear-discharges, mulches, and bags. 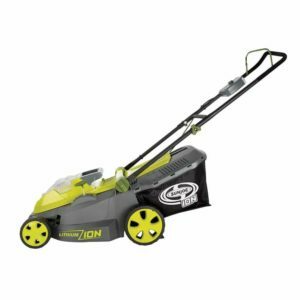 Sun Joe iON16LM is yet another compact but efficient electric lawnmower that you could consider acquiring. It is a cordless mower that relies on batteries to operate, and it is built with a 16-inch wide cutting path. Interestingly, it is economically priced. It has a 6-position height adjustment lever. Its cutting height ranges from 1.18 to 3.15 inches. 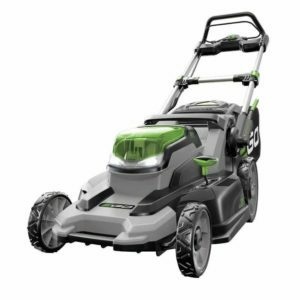 Greenworks has done it again with Twin Force Cordless Lawn Mower. The lawn mower is not only economically priced but it also features an impressive ergonomic design. What’s more, it is built to deliver an outstanding cutting power. It is fitted with a G-max 40V Lithium-Ion battery system, which as a 4 Ah battery plus a 2 Ah battery and charger. It delivers a 20-inch wide cutting capacity. It comes fitted with Innovative Smart Cut Technology that enables it to adjust its power according to the thickness of the grass. 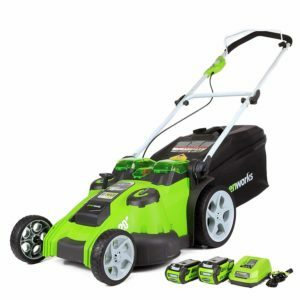 Last on our list is Greenworks Corded Lawn Mower 25142. The lawnmower is ideal for people who do not mind spending a considerable amount of money on a lawnmower. The lawnmower comes loaded with features that help you cut grass on your backyard in a stress-free manner. It has 5-position height adjustment. The cutting height ranges from 5/8-inch to 2 5/8-inch. Electric lawn mowers are better than petrol ones for multiple reasons. The problem with petrol motors is that they require maintenance and they are just much messier. Electric motors deliver more power and barely need any maintenance. Used in lawn mowers, they simply prove to be much better. As far as choices go, there are more than enough different models to choose from. There are lawn mowers of all sizes with all sorts of features but not all of them are worth spending money on. Here are some of the most important things to look out for when comparing lawn mowers. Corded or cordless. 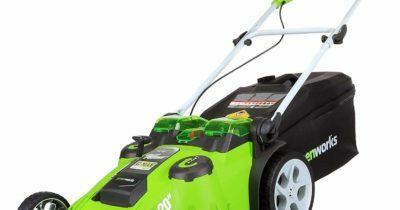 One of the most notable aspects of an electric lawn mower is if it is battery powered or it needs to be connected to a wall plug. The battery powered ones are quite practical but they use less powerful motors and they work for 60 minutes at most on a full battery charge. Discharge bag. Not all lawn mowers have a discharge bag. It depends from one model to another but for practical reasons, a lawn mower without a rear-mounted discharge bag is not really worth spending money on. Size and practicality. The handle of a lawn mower is usually adjustable or it can be folded. It is important for the lawn mower to be practical in the sense that it is easy to store and does not take all that much space. An electric lawnmower is a must have since it can save money on the long run and does not need much maintenance. Also, they deliver more power than regular petrol powered ones. Otherwise, they are pretty much the same type of machine. 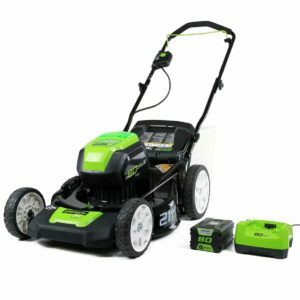 Since there are so many different electric lawn mowers, and some manufacturers make several models, it can be a bit confusing when comparing them. There are lowers with battery packs or identical ones that are corded. To make things easier, we picked the 10 most popular ones which should cut down the time when trying to find a suitable model.